We have been commissioned by a number of arts organisations to: document arts festivals, theatre and dance performances, work with individual artists to make films about their arts practice and to direct and produce animations and short film dramas. One of our chief areas of expertise and experience is in working alongside disability arts organizations including Disability Arts Online and Shape Arts. We provide a fully inclusive approach to the use of filmmaking across the whole educational spectrum - working in Key Stages 2 through 5, adult education and with special educational needs. Projects are designed and tailored to meet the needs and requirements of the national curriculum and are planned with the close co-operation and involvement of classroom teachers, or those commissioning the work. We approach the use of film as a truly cross-curricular tool that can enhance and add value, richness and depth, to the teaching of all subject areas and, alongside the vital role of developing personal expression, helps to give students the creative and interpretative skills so desperately needed for them to navigate and comprehend, the world around them. 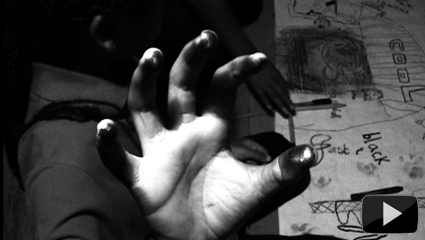 Students can work in a variety of genres, using a range of filmmaking techniques, designed to relate to learning outcomes and skill levels; the resulting film could be a complex, well-researched documentary made by an entire team or a simple, short, stop-frame animation made by a single student. We like to work closely with staff and education departments, feeling that we can offer creative and training opportunities for personal and curriculum development and have also worked closely with the educational departments of many high quality cultural institutions such as the British Film Institute. Film by Ivan Riches and Ben Glass showcasing Ben Glass's 'Brazilian Connection' Project. 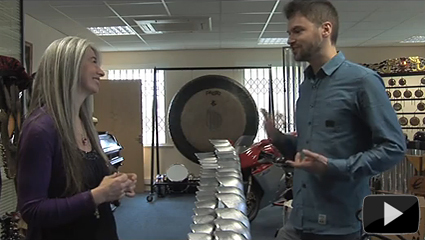 This short documentary shows Ben interviewing Evelyn Glennie and talking to her about his project. An international project involving a live performance in Brazil by Ben and Billy Saga to a pre-recorded backing track mixed and produced by Ivan Riches, with Evelyn Glennie, Charlotte White and disabled musicians supported by Drake Music, from CEDA, Claremont and the 'In Motion' project, to a projected film by Ivan Riches. Connect & Collaborate London (C&CL) was a Drake Music initiative which aimed to locate and empower disabled artists/ musicians across London and facilitate them to work together on commissions, projects and events. Drake Music worked in partnership with organisations including Arts Connect, BFI Southbank, Horniman Museum, Shape Arts and some of our artist/ musicians performed at City Hall and the Mayor of London's Liberty Festival 2014. Iinitial funding and support was from City Bridge Trust and Arts Council England. 'In Motion' is the first commission by Drake Music - Connect and Collaborate London for a piece of music and an accompanying film by 4 disabled artists/musicians. 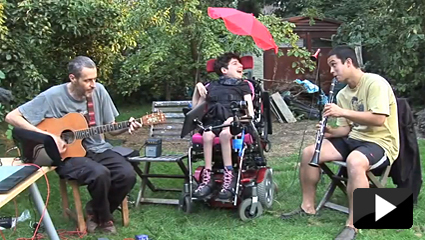 They have created their music using Assistive Music Technology (AMT), via 'iPad' applications and 'Soundbeam' technologies, supported by Drake Music associate musicians. 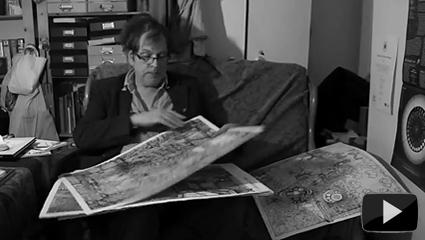 A film to promote the annual Southwark Reading Festival, comissioned by Inspire Me Education Ltd.
During a period of negotiation, 'Outside In' artists agreed to collaborate with Ivan Riches. Ivan's brief was to capture a flavour of the working processes of the artists, incorporating their imagery into the production of two short 'video portraits'. The intention was to showcase the artistry, skills, ideas and creative processes of the artists in the spirit of a joint, creative, collaborative journey. 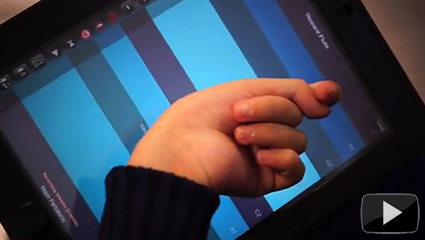 The resulting digital artworks provide an exciting response to the 'Outside In' artists' technique and creative process. These works, together with more information, are available on both the 'Disability Arts Online (DAO)' and the 'Outside In' websites and give a deeper insight into the artists' working practises. This film was made by people with learning difficulties from The Maples Resource Centre in Barking. 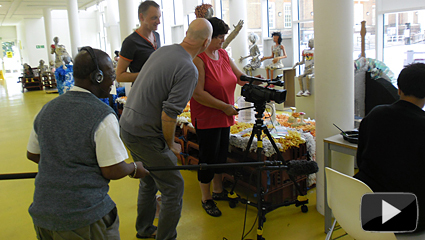 This film project focuses the Disability Events of Molten Arts Festival 2012 in Barking from the points of view of people with learning difficulties who were facilitated and trained as filmmakers to make this film. ‘In My Father's Footsteps' is a film produced as part of the three-year Apprentice Arts programme (2004-07) - a partnership project between Age Exchange and Lewisham Education - working with KS3-4 students from Lewisham Secondary Schools, to develop skills in performance, documentart film and the visual arts. This 75 minute drama-documentary, tells the the story of Helen Aronson - with whom the children worked jointly to develop the narrative - and her experiences as a child in the Lodz Ghetto during WWII. Helen has always insisted that it is important that her story should be told and enacted by children; Helen was sixteen years old when the Lodz Ghetto was liquidated in 1945. The film was shot at The Ragged School Museum in East London. It is available to schools in Lewisham and throughout the UK as an important curriculum resource. This reminiscence inspired short film was made by Polish, Croatian, and UK students in Wroclaw, between the 16th and 22nd May 2012. The film was inspired by family memories of grandparents and great grandparents, passed down through generations to the Polish students; memories of the exodus of Poles from Lvow to start new lives in the city of Wroclaw, memories of the War, and of the communist era. Working with Croatian and UK students the young Poles created scenes, playing their ancestors. 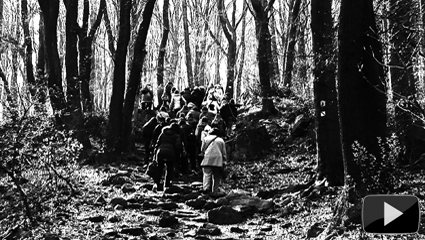 Together the students used archive material, personal experience and creativity, to create imagery, poetry, and music, in support of their short film, “Wrocław – the Meeting Place”. The film was produced and directed by Ivan Riches and David Savill (of Age Exchange). Over just 21 hours along with the documentary drama, students were taught skills in film making, sound, continuity and editing. 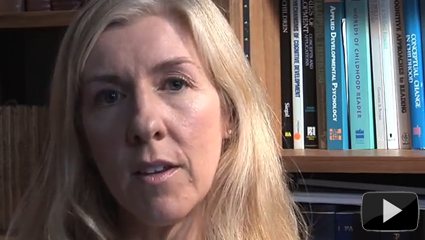 Commissioned by Professor Lucy A. Henry, Department of Research Psychology, London Southbank University; Keynote Presentation for EARLI Conference, Munich 2013. Age 2 Age - Lewisham Intergenerational Festival April 7th to 9th 2011 devised and coordinated by Age Exchange in Partnership with The London Borough of Lewisham. A celebration of Intergenerational activities run by 24 organisations across The London Borough of Lewisham. 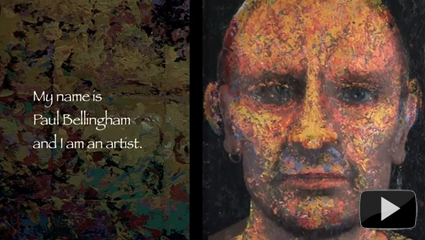 Film Directed & Produced by Ivan Riches Filmed and Edited by Simon Purins and Ivan Riches. The installation was a joint venture between Cafe Gallery Projects and The Polish Cultural Institute. 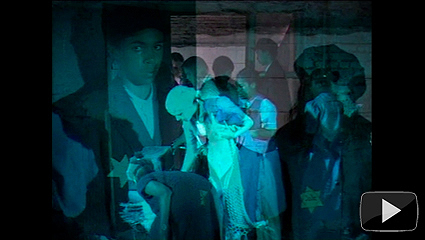 The soundtrack to the film uses excerpts from Jaroslaw Kapuscinski's composition 'Where's Chopin' (for Disklavier and multi-channel projection of sound and image 2010). These are used with gratitude and with the permission of The Polish Cultural Institute, London. The film and accompanying artwork is on show at the Cafe Gallery, Southwark Park from 13-27th February 2011 as a part of the 'Make A Space A Place' exhibition. ‘The Ties That Bind’ is a short intergenerational film made by young and older people working together and was shown at the Gordon Creig Theatre, Lewisham 2010, alongside an accompanying theatre production. St. Joseph's RC Primary School in the London Borough of Southwark - a.k.a. Bankside Young Filmmakers. The film aims to promote and engage young people in the wide-range of opportunities on offer to them in London's 'cultural quarter' - an area around London's Southbank comprising 24 arts and cultural spaces and organisations. 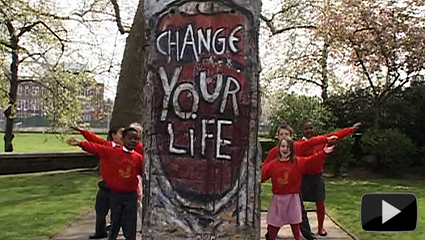 The film was made as part of the SOWF (Some Other Way Forward) youth cultural programme and was screened at the Royal Festival Hall in April 2008. Commissioned by Some Other Way Forward and The Southbank Centre. ‘Another Journey – from Primary to Secondary School’. Working with 10 – 12 year old Roma & Irish Traveller pupils on a short film about how to deal with transition between primary & secondary education. Pupils filmed and interviewed each other, their teachers and their support staff, with help from the transition team and officers from the achievement team. They also gave information and advice using animation and drawings.